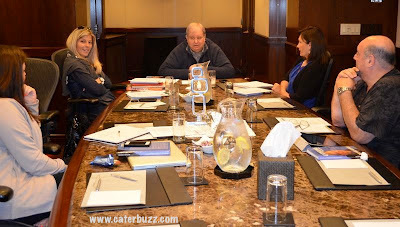 Recently a intimate group of new and experienced caterers sat around a conference table in a NYC Times Square Hotel with the Catering Guru, Mike Roman, discussing the Management of Catering. “Catering has always been in my DNA and blood”. Mike Roman is a special type of man and if I had to guess his blood type it might be a unique one CG = Catering Guru. As the founder of Catersource, Mike’s knowledge, expertise and friendship has helped tens of thousands of caterers develop and grow, earning him the title of the Catering Guru. 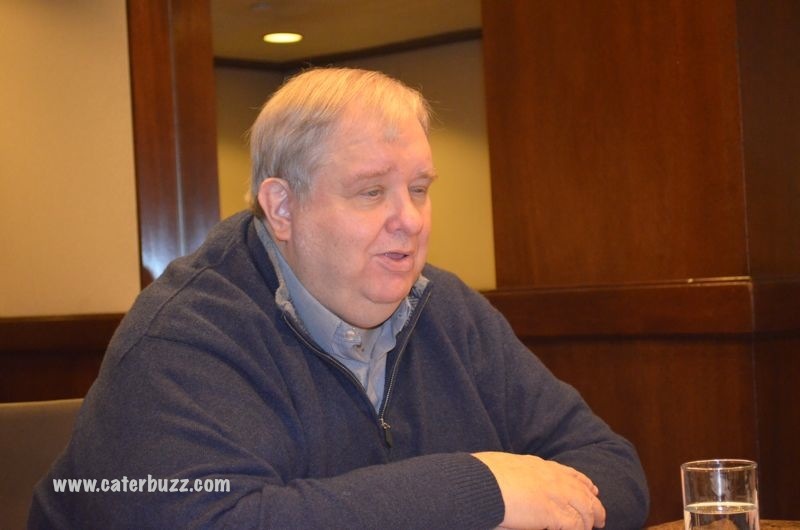 Countless caterers from North America and around the world have learned tricks and tips on how to hone their craft and increase their business and sales skills via classes and catering conferences that Mike Roman has taught and organized over the past 32 years. In addition, Mike has authored many valuable catering industry resource books and publishes a daily blog “Roman’s Opinion”. Now “semi-retired”, although still presenting at Catersource, and consulting for nuphoriQ media, a creative marketing agency, Mike Roman is once again going back to his roots. Traveling the USA, Mike is offering catering sales, marketing and management clinics open to a maximum of 10 participants daily– a chance to interact with Mike Roman, the Catering Guru up close and personal. Last week’s Times Square management clinic was lively and informative, full of ideas from not only Mike Roman’s vast catering consulting experience and knowledge but also from the active participation of the attendees. Questions and answers posed by relatively new catering businesses like Kurent Events on staffing agencies and boutique liquor offerings, to how to start a new kosher division (a plan that Encore CateringNJ’s VP Karen Epstein and her partner/sisters are launching this fall), offered the opportunity to discuss relevant catering knowledge in depth and be “Romanized”. Mike suggested that our catering businesses can’t always move forward until we assess and give up a segment that is not profitable. It is a common rule of thumb in business; i.e. "80% of your sales comes from 20% of your clients". Mike and the catering management clinic attendees discussed ideas such as finding the right employee match via industrial pyschologists, understanding generational differences in both employees and customers, using retired folks or special refugee programs for staffing needs and considering the business of wholesale catering. The up close and personal aspect of this type of catering seminar can’t be beat. 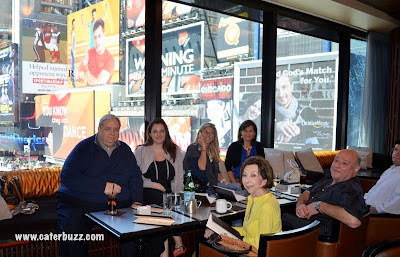 Where else do you get the bragging rights to say that you spent the day with “the” Mike Roman, shared coffee, tea, hot chocolate and enjoyed lunch in a lovely setting overlooking Times Square, received a personally autographed catering management book (all included in the tuition) and got to discuss the nitty gritty of catering with Mike Roman, the Catering Guru. Mike Roman, THE Catering Guru. We shared real life catering challenges and solutions – advice and expertise and each of us came away with a renewed sense of why we love this crazy business and the passion that fuels our drive. 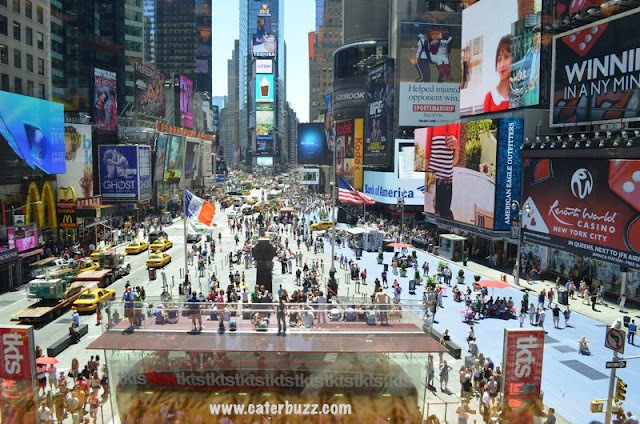 Hi, I'm Lisa Teiger, founder and forum moderator of caterBuzz, owner of cuisinEtc Catering and Special Events, a boutique NYC catering concern, a food stylist, culinary fashionista and roving caterBuzz catering reporter, coming to you from NYC but always going beyond !!! We hope that you will consider caterBuzz as your traveling eye for the inquisitive professional catering guys and gals around the globe. Sharing and learning from each other as only like minded professional caterers can do, through pictures, stories, questions and answers, available here on www.caterBuzz.com and also on our facebook caterBuzz group page, a private forum for the experienced professional catering community. 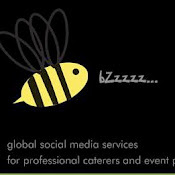 We invite you to take a look at the caterBuzz internet social media cheat sheet blog post for more information about catering social media sites. I enjoyed learning what Mike has been up to lately... he has always been an inspiration. 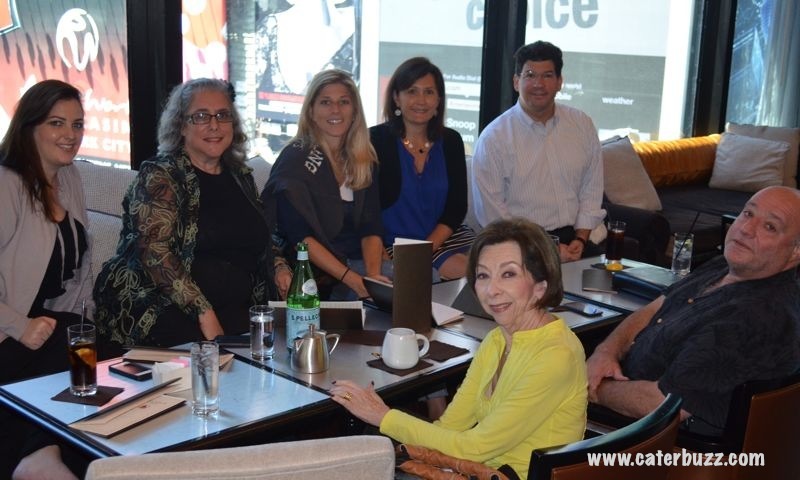 Thank you Lisa for bringing us industry news, as well as helping build relationships in the catering community. 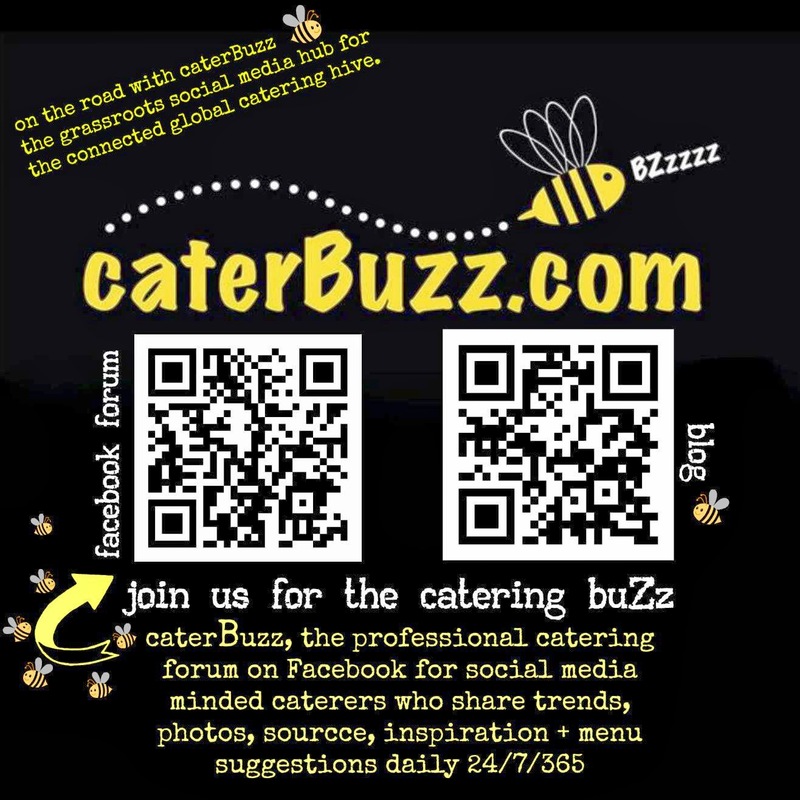 www.caterbuzz.com. Picture Window theme. Powered by Blogger.